The 48-inch display in the Byton M-byte will control most of its functions - and more. At first glance, the Byton M-Byte looks a lot like other new battery-electric vehicles coming to market these days. It’s when you slip inside the SUV that you notice the big difference. Really big, as in a 48-inch videoscreen atop the instrument panel that stretches the full length of the windshield. 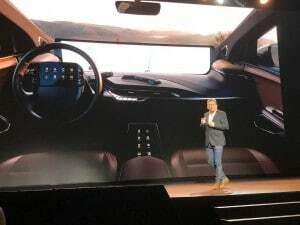 The screen can simultaneously display a virtual instrument cluster, navigation information, notes on the music you’re listening to – and still have plenty of room left over for a movie or TV show to entertain passengers. And that’s a key part of Byton’s business strategy. Backed by the Nanjing government and funding from First Auto Works, or FAW, one of China’s biggest car companies, Byton is targeting the fast-emerging Chinese market for battery-electric vehicles, or BEVs. But it also plans to market its products in the U.S. and Europe. Breitfeld is quick to list Audi, BMW and Mercedes-Benz as its key targets, but Tesla will be another key competitor, especially when the California-based company opens up its own plant in Shanghai sometime in the coming year. The M-Byte will launch in China late this year. A base version of the M-Byte will come in around $45,000, equipped with a 71 kilowatt-hour lithium-ion pack capable of delivering an estimated 250 miles per charge. The automaker hasn’t released power or performance data yet but does note that the base model – which roughly matches the lowest-priced version of the Tesla Model 3 – will be rear-wheel-drive. A second version will add an additional motor up front and get a 95 kWh battery pack boosting range to an estimated 325 miles. 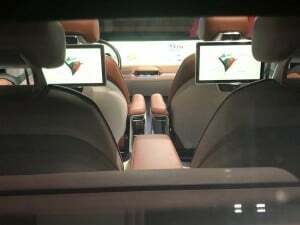 It also will come with features such as Level 3 autonomy. That will permit the vehicle to operate largely hands-free on highways, though the driver will need to be ready to take retake control in an emergency. Breitfeld said the longer-range M-Byte will push into the $60,000 range. Production is set to start at a new plant in Nanjing by late this year, with sales in the Chinese market launching by the fourth quarter. Byton’s first showroom will open in Shanghai on Jan. 17. The automaker plans to enter the American and European markets by the third quarter of 2020. 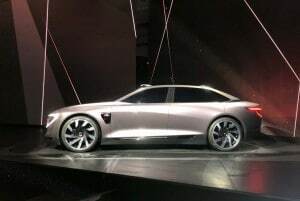 Meanwhile, a second model, the K-Byte sedan, was unveiled at the Los Angeles Auto Show last month, and will follow in 2021. A third model will follow two years later. Byton has not revealed any information on that product. 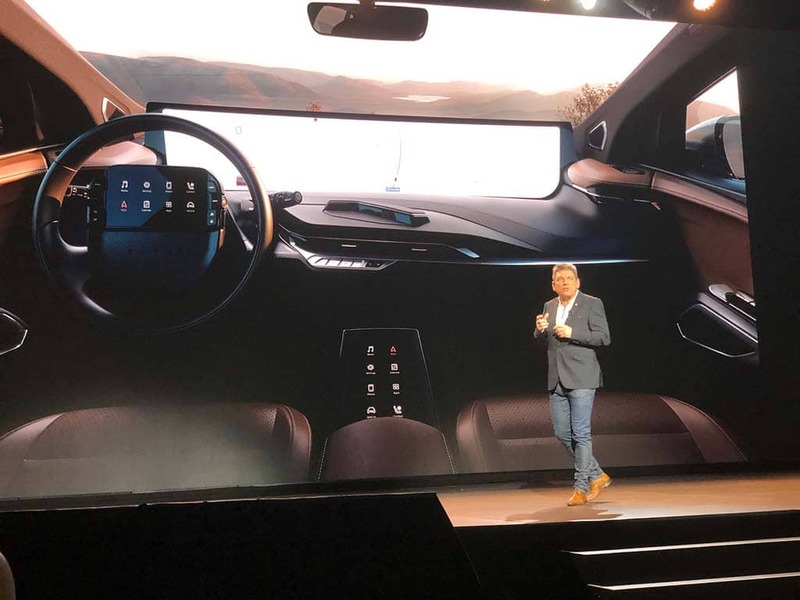 Byton CEO Carsten Breitfeld at CES. The M-Byte is a truly global car. Design work was handled in Munich and led by Benoit Jacob, the former chief designer for BMW i, that automaker’s battery-car sub-brand. The electric drive system was split between German supplier Bosch and an unnamed battery partner in China. Work on the M-Byte’s digital technology, however, was largely centered in Silicon Valley, that part of the project one of the main reasons why Byton’s workforce tripled to 1,500 during the last 12 months. And that doesn’t include employees of Amazon, which is integrating its Alexa personal assistant into the M-Byte. 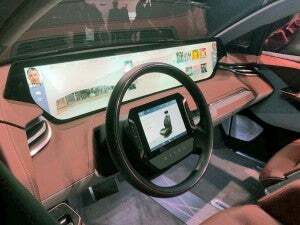 Motorists will be able to operate virtually all vehicle functions by voice, gesture or either of two smaller touchscreens. One is mounted into the center console. The other floats atop the steering wheel and remains properly oriented no matter how the wheel is turned. It took some creative engineering not only to keep that screen properly oriented but to also retain an airbag in the steering wheel. Byton’s business strategy is meant to reflect a variety of changes sweeping through the world of transportation. As vehicles go autonomous, experts anticipate occupants will need to be entertained, and the large front screen, along with dual displays for rear occupants, will be used to provide a variety of services. That includes pay-per-view video, as well as the opportunity to play games and even shop using Amazon Alexa. The Byton M-Byte will have screens everywhere. Byton’s business strategy also takes into account the anticipated growth of ride- and vehicle-sharing. Some experts – including the Boston Consulting Group – have forecast that as much as 30% of the miles Americans clock on the road each year will be in self-driving vehicles operated by ride-sharing services. Breitfeld said he thinks that could come closer to 50%. Byton, Breitfeld said, plans to set up its own ride- and vehicle-sharing operations, rather than just selling its vehicles to existing services like Uber, Lyft or Waymo. The latter, a spinoff of Google, last month launched the world’s first commercial self-driving ride-sharing program in Phoenix. Byton isn’t the only automaker exploring alternative revenue options, however. General Motors recently launched the GM Marketplace which will allow owners of recent models equipped with the OnStar service to place orders at restaurants, shop and even make hotel and air travel reservations. Ford’s Sync 3 allows drivers to order coffee at Starbucks and pizza from Domino’s. The Byton M-Byte will be followed by the K-Byte sedan, a concept seen here, in 2021. GM, meanwhile, has said it is planning to launch its own ride-sharing service this year through its Cruise Automation subsidiary. Volkswagen and Ford have outlined similar plans. 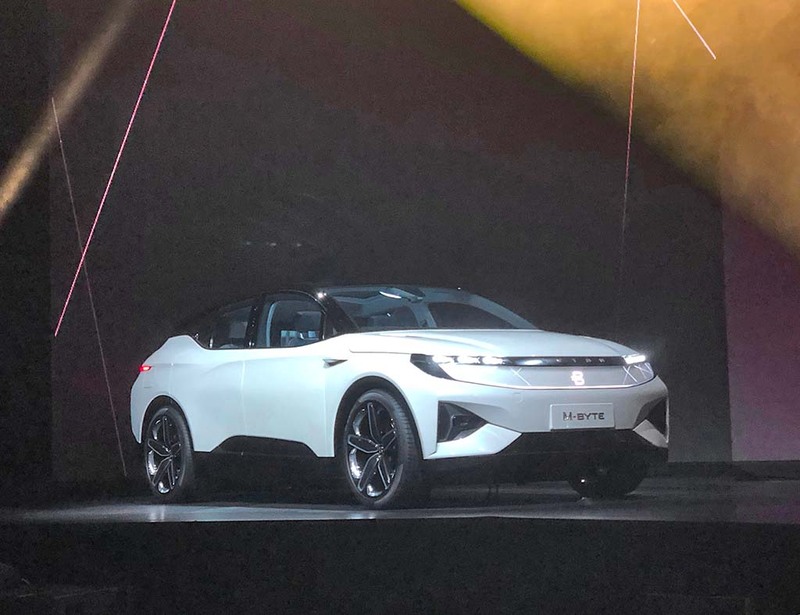 Whether Byton can pull it all together remains to be seen. Tesla is just beginning to gain real traction, delivering only its third profitable quarter – during the July-September period – since going public. Chinese-funded start-ups LeEco and Faraday Future are struggling to survive. One reason: the slow ramp-up in demand for electric vehicles. But sales began to surge sharply in 2018, Tesla selling nearly as many vehicles last year as it did in the previous decade. Demand is on a particularly steep growth curve in China thanks to that government’s aggressive New Energy Vehicle rules. Byton’s new plant in Nanjing will be tooled to produce up to 300,000 vehicles annually. It expects to sell about half of those in China, a third in the U.S., and the rest in Europe. 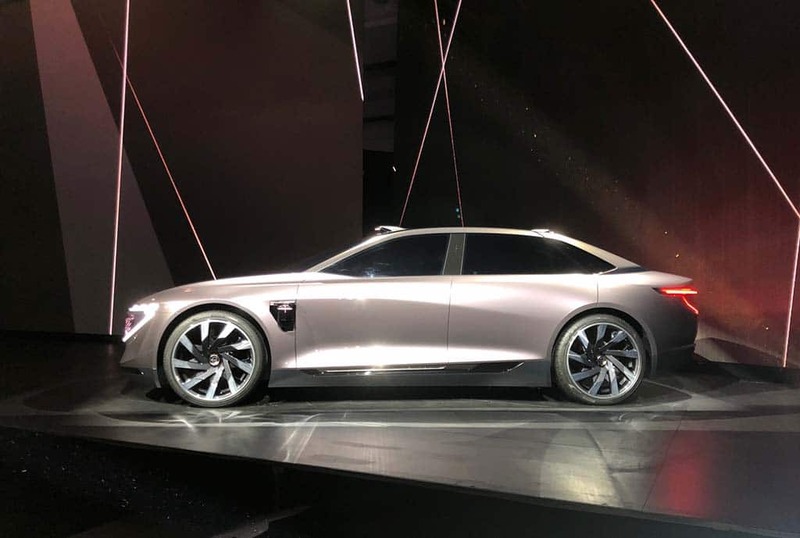 This entry was posted on Monday, January 7th, 2019 at and is filed under Advertising, Asia Pacific, Auto Shows, Automakers, Automobiles, Autonomous Driving, Business, Byton, CES, China, Designers, EVs, Electrified Vehicles, Europe, Executives, Infotainment, Luxury Vehicles, Markets, NAFTA, Personalities, Ride-Sharing, SUVs, Sales, Sales, Sedans, South America, Technology, Trends, U.S./North America. You can follow any responses to this entry through the RSS 2.0 feed. Both comments and pings are currently closed.